Our most premium Camp location! Set in amongst serene surroundings, nestled in a heavenly hub within the Indian Ocean, Camp Maldives participants are treated to a unique, fresh experience, encircled by warm, tropical seas. A tropical retreat into escapism, Camp Maldives is the ideal opportunity to help and support local communities with an avid appetite for education; the program is the creme de la creme for tutors of English language and conservation enthusiasts. We support the local schools and communities by running language classes, workshops, sports schools, reforestation projects and coral restoration projects– there’s never a dull moment for those keen to make a real difference. In your down time we run snorkelling trips, island tours, beach BBQ’s and even trips to sandbanks. So, if you’re on the hunt for a sun-baked cocktail comprising Pacific adventure and charitable work, look no further – you’re bound to fall head over heels in love with the mystique and beauty of the Maldives. Indulge on some of the Maldives most beautiful beaches! Stay in one of the best hotspots the Maldives has to offer! Experience the wonders of the Maldives tropical reefs and get up close to amazing tropical fish and turtles! Get involved in some incredible activities! Camp Maldives is located in one of the most beautiful places in the world, making this our most premium Camp location! Known for being an untouched paradise, this really is a tropical playground! We have an incredible program lined up; make a positive impact in one of the most beautiful places in the world! We operate in beautiful local islands, completely off the tourist trail! If a Summer of sun, new friends, unbelievable experiences and unforgettable memories is your idea of fun then you need to come to Maldives; get out of Europe and sample a brand-new experience with Camp Maldives! Don’t forget, if you’re ever in Manchester, don’t forget to pop into our office – we’d be more than happy to chat with you and help you plan your adventure! 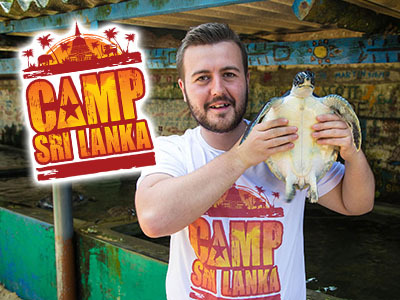 Camp Maldives are also the founding sister company of Camp Thailand, AmeriCamp Canada, Camp South Africa, Camp Vietnam and Camp Cambodia which collectively send over 5,000 people abroad each year to help provide an education to disadvantaged children.